Morrison Low was appointed to complete a report on the feasibility of a national asset register. As part of this the team visited a cross section of 10 DHBs. Thank you to all those involved who took the time to do this, it provided valuable feedback. Asset management maturity is still relatively new for DHBs and can be driven by compliance requirements rather than good business management and long term financial sustainability. Most DHBs have pockets of good asset management practice, but these often are not applied across the DHBs’ other assets, and need to be shared across the DHB sector. This month we received approval from the Ministers’ of Health and Finance on the recommendations from the National Asset Register Feasibility Report (you’ll be able to read the report shortly on the Nationwide Service Framework Library website). The report determined that there is a need for a national high level asset management register. Ministers agreed that the Ministry continue to scope the requirements and information needed to populate the register. The implementation of a national asset register solution does not remove the need for DHBs to maintain local asset registers. It’s expected that these registers would hold a greater level of detail on a DHB basis. 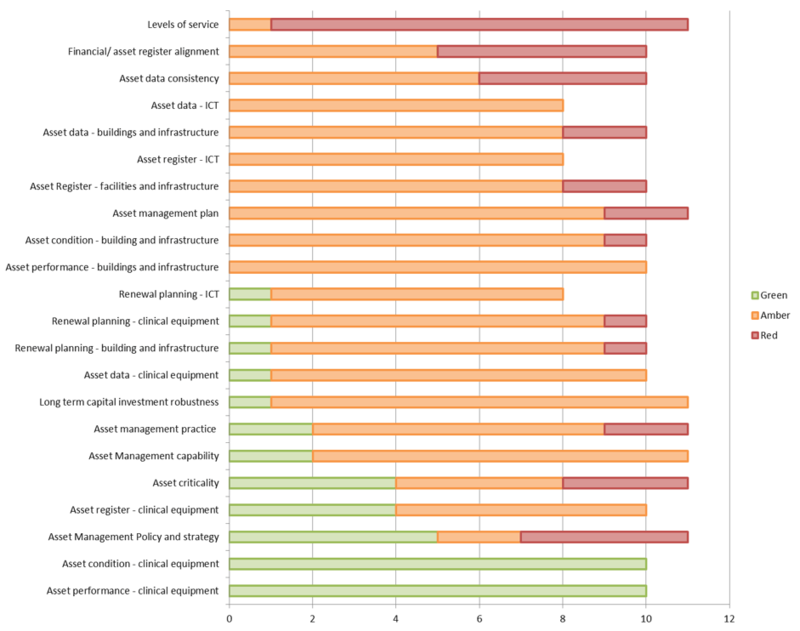 A key finding of the asset register feasibility report was the varying levels of asset management maturity and capability across DHBs - from leadership teams through the organisation down to facility managers. We’ll be in touch with training dates and times, and how to register your interest. Spaces will be limited, please encourage your staff to attend one of the sessions. The Minister of Health has requested an outline on the current state of DHB assets by September 2019. To achieve this we need to complete all buildings assessments by the end of July. This assessment will be a mixture of DHB self-assessments and on-site assessments of key critical buildings by the team specialists and consultants, BECA and ChowHill. The DHBs used the Building Criticality Matrix to assess all buildings and identify critical buildings. The Ministry has completed a similar independent assessment. As expected some variances were found, so we’ll be in touch with the affected DHBs to agree the buildings that will be assessed on-site. Next week, the team will make contact to outline the on-site process, and the relevant documentation needed, before the visits commence. A pilot of on-site assessments finished last week at Hawke’s Bay and Nelson Marlborough DHBs. These pilots were well received in the DHBs’ and the Ministry thanks all the participants and staff who were part of the pilot assessments. The pilot tested the processes and the assessment criteria. Lessons learnt will be fed into the process ahead of the roll-out to other DHBs. Site visits to other DHBs are expected to start in mid March, and we’re looking to do one DHB per week. We’ll be in touch to agree a suitable date and time. The Ministry team will work with you to ensure that we complete all the on-site visits by July. This will allow the team time to evaluate the information, before presenting the information to the Minister in September.